Posted on 15, November 2018 by EuropaWire PR Editors | This entry was posted in Construction, Infrastructure & Utilities, Science, Sweden, Technology and tagged construction, ESS Campus, Johannes Nyberg, Jörgen Christiansson, laboratories, Lund, offices, Skandrenting, Skanska, Sweden, workshop. Bookmark the permalink. STOCKHOLM, 15-Nov-2018 — /EuropaWire/ — Skanska has been commissioned by Skandrenting, through wholly owned subsidiary SKR Spallation AB, to build the ESS Campus, which consists of offices, laboratories and workshops in Lund, Sweden. The agreement is worth approximately SEK 475 M, which is included in Skanska Sweden’s order intake for the fourth quarter of 2018. 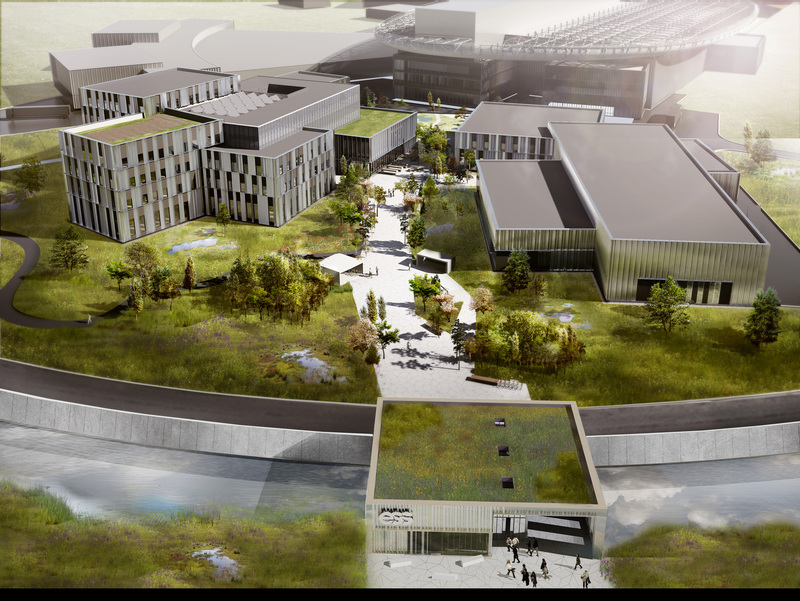 The ESS Campus is adjacent to the major European Spallation Source (ESS) research facility which Skanska is building in Lund. The campus area comprises approximately 40,000 square meters of land area, where three buildings with a gross area of 20,000 square meters will be built. During the year Skanska and ESS has worked on preparations for the project, which now will be launched in December. ESS will hire the completed buildings by SKR Spallation AB. “The ESS Campus will be high profiled. We are building for the future with high-end sustainability goals. We will certify the office building according to BREEAM, level Outstanding, which is the highest level,” says Jörgen Christiansson, district manager Skanska Sweden. ESS is a pan-European research facility that will be used in a number of research areas, including environment, medicine, food and materials. The plant is a so-called neutron source, where researchers from around the world are able to study the materials of the future to understand how they are built and functioning. “The ESS Campus is a part of the perhaps most interesting research project ever in Sweden. We are very proud and happy to be part of this unique event,” says Johannes Nyberg, CEO Skandrenting. The ESS Campus will be completed by the end of 2020. ← Skanska’s Capitol Tower office development in Houston, Texas, USA now 72% leased following major contract with Waste Management Inc.